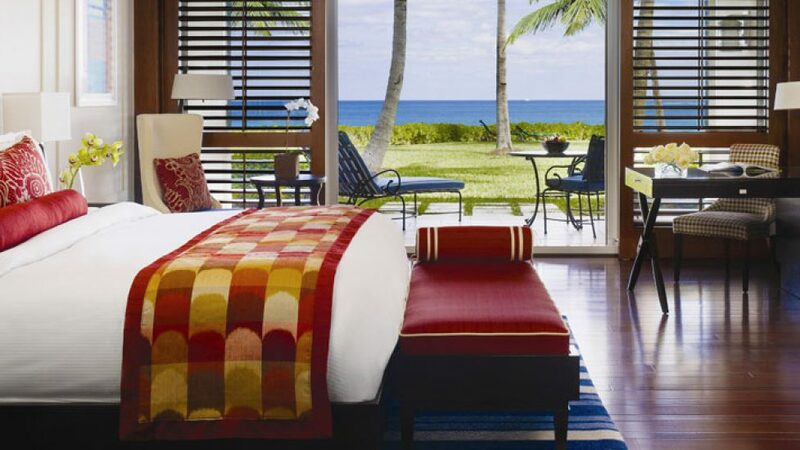 The Ocean Club, Four Seasons Resort - Caribbean & Co.
On 35 lush beachfront acres, the renowned The Ocean Club, Four Seasons Resort in The Bahamas sits above an uncrowded beach that stretches for 3 miles on Paradise Island’s north shore and features gardens inspired by Versailles. This luxury property is close to Atlantis Aquarium, Aquaventure, Cabbage Beach and Fort Fincastle. The Ocean Club, Four Seasons Resort has 2 outdoor swimming pools. Other recreational facilities include tennis courts, a health club, an outdoor pool, a fitness facility, and a children’s pool. The onsite spa at this 5.0-star property offers massage and treatment rooms and facial treatments. Business amenities include complimentary wireless Internet access in public areas, meeting rooms for small groups, business services, and audio-visual equipment. The Ocean Club, Four Seasons Resort has a restaurant, a bar/lounge, and a poolside bar. 24-hour room service is available. Event space measures 153 square meters and could be the perfect destination for your Caribbean wedding. The Ocean Club, Four Seasons Resort also provides guests with modern amenities making your stay not only relaxing but convenient as well. Amenities include free valet parking, on-site medical assistance, conference center, banquet facilities, rain umbrellas, and a gift shop/newsstand. Supervised childcare activities are complementary and babysitting is available for a surcharge.